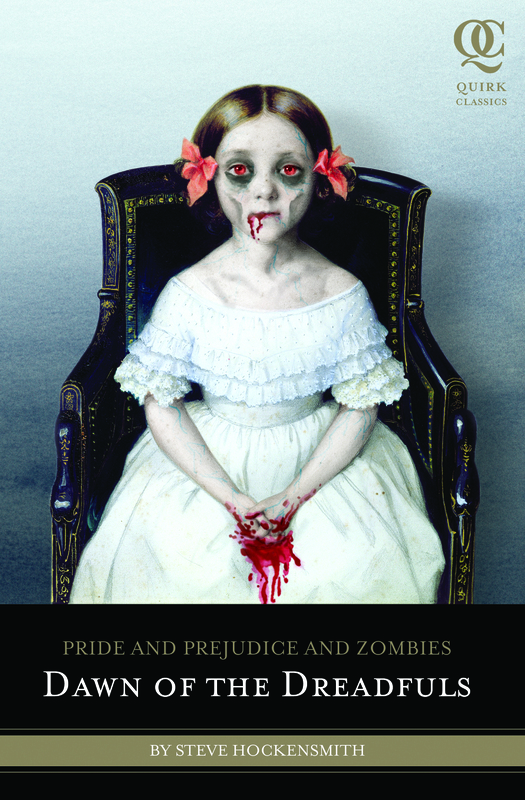 Pride and Prejudice and Zombies: Dawn of the Dreadfuls by Steve Hockensmith is the prequel to Pride and Prejudice and Zombies, a literary mashup where the Jane Austen classic was intertwined with zombie prose by Seth Grahame-Smith. Although I haven’t read any Jane Austen since college nor did I read PPZ, I found PPZ:DOD to be an enjoyable read. The text wasn’t as dense as I recall Jane Austen’s being, but it was an entertaining read that captured the feel of the characters and time period with a slight satirical feel to it. The book, like its predecessor, revolves around Elizabeth Bennett and her would-be suitors as she trains with her sisters in the martial arts and zombie defense techniques. The book finds its humor in the interactions between the characters, like the madcap antics of Dr. Keckilpenny as he tries to “research” the zombies and the limbless Captain Cannon, who has two soldiers that acts as his Limbs. My only qualm with the book is in its use of martial arts. As cool as the thought of women in Regency era dresses wielding swords and doing martial arts is to imagine, the martial arts in the book are fairly nebulous. We learn early on that Mr. Bennett went to China, but soon after he sets up his dojo and shows the girls a katana, a decidedly Japanese sword. The martial arts continue to have a more Japanese bent, but continue to be of unknown origin, a hodge podge of things that the author thought would sound cool rather than be of a particular lineage. And who doesn’t like winning free stuff, right? So hit them up and give it a shot! And even if you don’t win, you can always buy a copy of the book on Amazon . I love the Quirk Classics idea of of mixing classic literature with modern pop culture, thoroughly enjoyed PPZ:DOD and am looking forward to Android Karenina, as well as the prior two that I have yet to have the pleasure of reading.